Britain is suffering from a significant productivity shortfall when compared with our main international rivals. 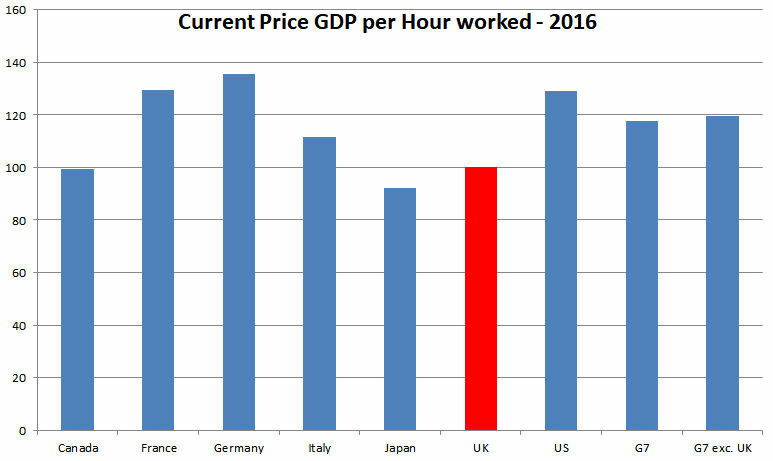 Britain's productivity per hour worked is 16% lower than the G7 average, 28% lower than the USA and 35% lower than Germany1. While there are many possible contributory factors to the productivity deficit, it is clear that British companies need to improve their productivity if they wish to be competitive. 1 All data quoted is drawn from the Office for National Statistics dataset "International comparisons of productivity" 6 October 2017. A copy can be downloaded here. Companies which implement the lean operations philosophy typically improve their productivity by 25 — 40%. In most companies only 10 — 15% of effort is expended on activities contributing to the properties of the product or service which the customer values and is prepared to pay for, the value added activities. The remaining 85 — 90% of activity is non-value added. While some of this may be necessary, much of it will not be and can be eliminated. These are the lean wastes. While lean's roots are in manufacturing, the philosophy can be applied to business of any type, from healthcare to hospitality, from marketing to aircraft maintenance. Visualisation & creativity — seeing a problem differently is a big step on the road to solving it, and creativity techniques can lead to better solutions.